I’ll be the first to admit that if you’re living in Delhi and looking to go out and enjoy a great meal, there is a saturation of options available. Pubs, restaurants, lounges all feature heavily in the city, and each of them are more inventive, more innovative, more exciting than the ones before. Not to sound ungrateful, but therein lies the issue. Somewhere along the line, eating out in the city became less about good food and quality flavours, and more about showmanship and pizzaz—and it can feel quite extra after a point. 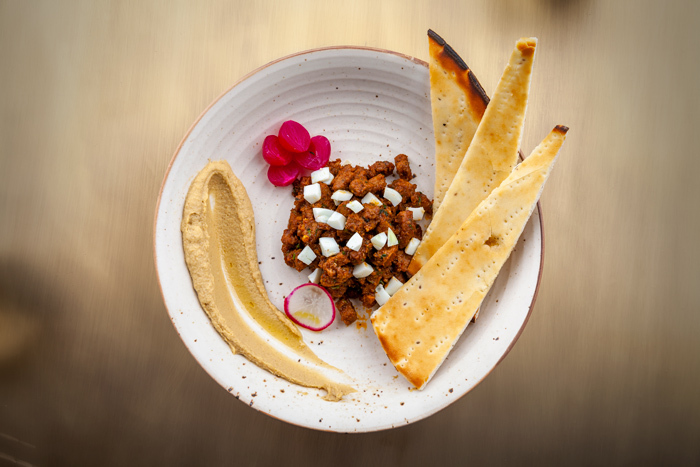 That’s where the newly-opened Comorin stands firmly apart. One feels a profound sense of nostalgia for the ’80s, as you walk in and are greeted by retro interiors donning the expansive space. Long wooden tables are gorgeously offset by a blush palette running through the entire restaurant, punctuated in places by copper and brass tones. 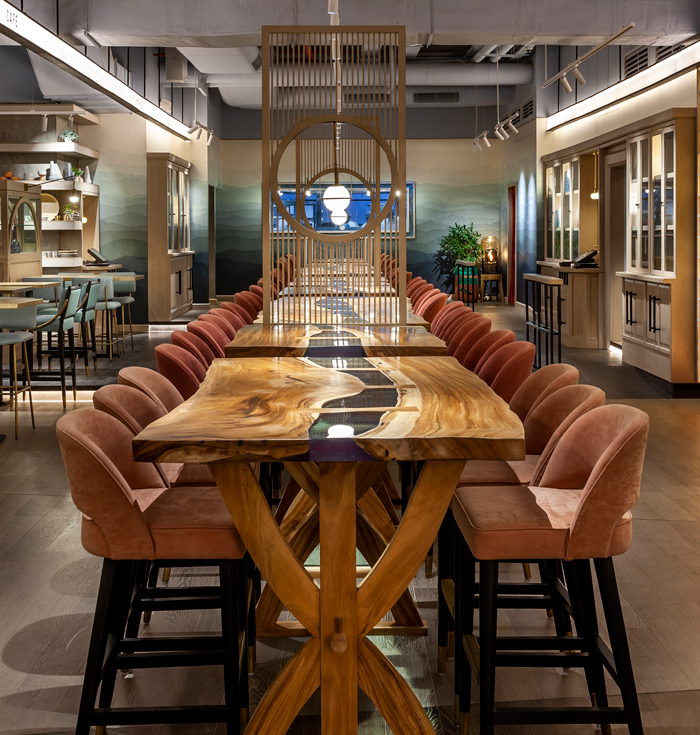 Interestingly enough, the restaurant is also part concept store, and has tie-ups with a curated list of vendors offering culinary accessories, tableware, barware, coffee beans (sourced from different regions of the country), and Comorin’s own selection of desserts and snacks. Each region of the subcontinent is drawn from, celebrated and reinvented to keep up with the young vibe of the place. There are dishes like Hyderabad’s haleem on the menu, which preserve traditional food preparation methods—the meat is slow-cooked for six to seven hours till it comes to a paste-like consistency soft enough to melt in your mouth. Or the Andhra Gongura Chicken, where the humble if somewhat unfashionable gongura leaf loans its tanginess to the rich spices used in preparing the chicken. Vegetarians will not have to look too hard here to satisfy their pangs either. 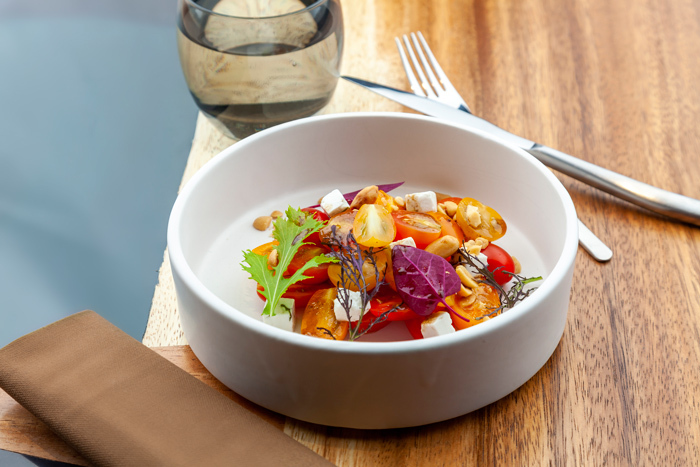 There is a wide selection to choose from—the Mushroom Chop, which is made from wild gucchi mushrooms; the Sweet Corn Khichdi, a fun twist to the traditional version; and the crunchy Dry Moong Dal salad, that you can munch on while you enjoy the cocktails. 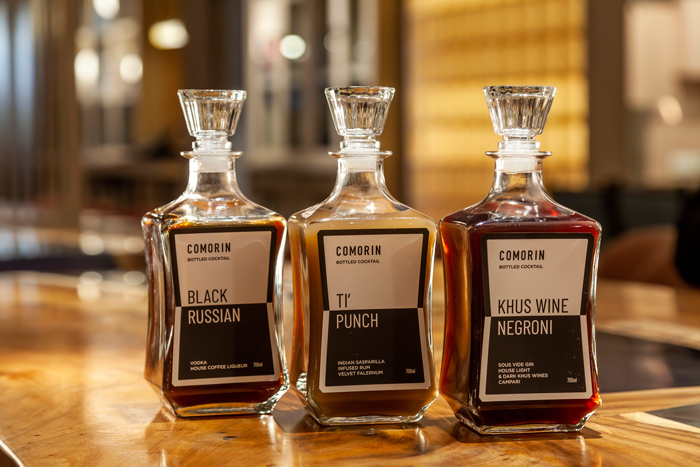 In fact it would be impossible to talk about Comorin without highlighting their craft cocktails, designed with the precise measurements that are necessary to bring out the punch in their flavours. The Neer More cocktail, for instance, was tinkered with for nearly a month to balance out the strong accents of chilli, coriander and tequila that go into making it. The Ramos and Roses Gin Fizz, a personal favourite, is a recipe from the 1860s, requiring six minutes worth of cocktail shaking (no easy feat) to get to the right consistency. “Great cocktails, great food, and going back to your roots that’s what we’re going for,” says chef Mehrotra. Scroll ahead to take a look at the new space, and some of the dishes they have on offer.